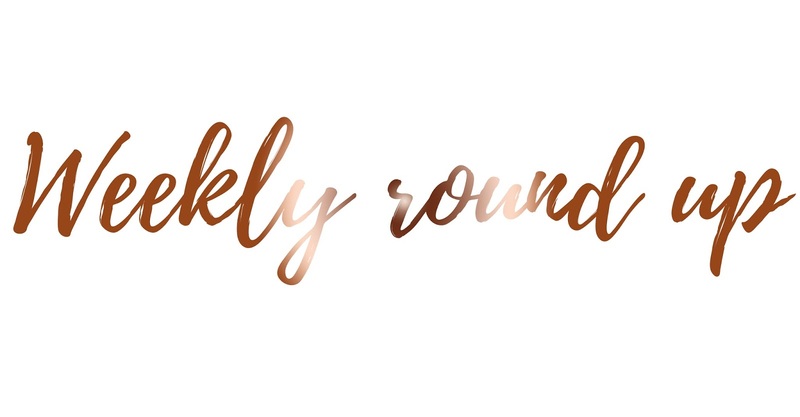 I cannot remember the last time I wrote a weekly round up! This one however will be more of a "fortnightly round up", because I want to speak about the previous week too. I have to say, this week not much has happened; it's been a week of feeling absolutely rubbish after catching my best friend's cold three weeks ago and trying to get over it; the tissues are still forever by my side though. I have never had a cold for this long before so if you have any hints and tips on how to get rid of it a lot quicker, let me know because even hot honey and lemon isn't helping! I also went back to work this week and it's crazy to say I only have four weeks left (eight shifts) and then I start my summer job! This academic year has flown by so quickly, I can imagine the six week summer holiday will go just as quick too. I'm sure some of you are wondering how my holiday was and for sure, I will definitely be writing a couple of diary posts of what I got up to in Great Yarmouth and sharing some of the beautiful shots of the beach with you. Great Yarmouth is a great place to go if you don't want to go on holiday abroad or if you have never been to Great Yarmouth. I had been to Great Yarmouth last year for only a day and I absolutely loved it which is why we went back this year for a week because it was so much cheaper than going abroad. However, I think going for four or five days would have been so much nicer. We went into Potter Heigham, Caister, Great Yarmouth, Lowerstoft and Norwich all within a week. As well as going into Great Yarmouth every single evening (nearly). A lot of our time was spent either walking along the beach, putting a heck load of money into the 2p machines or walking around trying to catch Pokemon on Pokemon GO. It was a fun filled week, especially as we were hit with the beautiful weather before the heatwave came. The other day I created two polls asking you guys what you would like to see more of on my blog and the final results were Baking and General Life posts. If you have any other suggestions of what sort of posts you would like to see here on my blog, then please feel free to let me know in the comments as I start to plan posts for July. Now that I am back from my holiday and back into my daily routine, I plan on putting 110% into my blog and social media accounts. This also means getting back into the habit of joining in with the chats on Twitter every evening instead of going out and completely forgetting about them! But for now, today I'm writing and scheduling posts for the rest of June as well as researching for my dissertation; fun!